Another fantasy series ending (3rd in 2012 after Percepliquis and Daemon Prism) that was a huge, huge asap and while i enjoyed it and would recommend it, it just did not blow me away as earlier novels in the series. In this one I still loved the language and the setting is still great, but somehow Ivy who was undoubtedly the star of the first two novels, loses a little her distinctiveness and centrality to the novel and while I did not mind that much having Rafferdy and Eldyn Garitt as the main stars, the book lost some luster for me there. Another issue I had was the acceleration of action as the earlier novels worked better at a slower pace where dialogue and setting counted for more since once frantic action starts the fantasy part of the world building starts being exposed as quite shallow. Also the "everything explained, all i's dotted and t's crossed" that seems to afflict series ending these days are present here and there were quite a few "yawn" rather than "oh, what" moments there too. 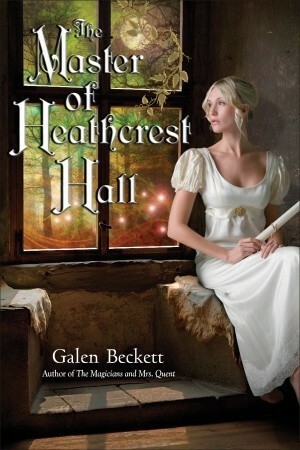 Sign into Goodreads to see if any of your friends have read The Master of Heathcrest Hall. Oh. I'm really looking forward to this so the review has made me a trifle apprehensive now.